Wow, ok. It seems like I went to sleep and woke up drowning in Battlefield 4 news. Either this leaked like nothing before or else this is really clever free marketing. I'm no entirely sure which I believe this is, but either way, this is huge. First thing I noticed was these awesome screenshots that got leaked. There are not so many but they look amazing. There already memes floating around of half of these images. The internet moves faster than we can keep up with! Check out the screens below. Ok, so the next big thing is this 30 second trailer that was released. EA have sent their minions in to the world to remove it from the internet, but we've found one version still hanging around. I'm not sure if this will still exist later or not, since EA is blacking this footage out from YouTube. So, the next big news is regarding the pre-ordering of this game. If you pre-order this game you will get yourself a pretty sweet looking set of dog tags. It only got announced just hours ago, but already Amazon and Gamestop have jumped on this band wagon and hijacked it and are trying to run it straight through a crowd of stunned gamers. Gamestop is offering the dog tags I mentioned If you pre-order the game. Amazon, however, is offering a digital dog tags if you order before April 13th. Both places are also offering the premium expansion pack, but no details on what that includes yet, so I'll have to update you on that at some other point in time. A Battlefield 4 Digital Deluxe edition for PC will also be available exclusively through Origin (surprise, surprise!). Now, I saved the best for last. EA confirmed today that BF4 will launch this fall. It will launch on PS3, Xbox 360 and PC. No word yet on the PS4 or Xbox 720. 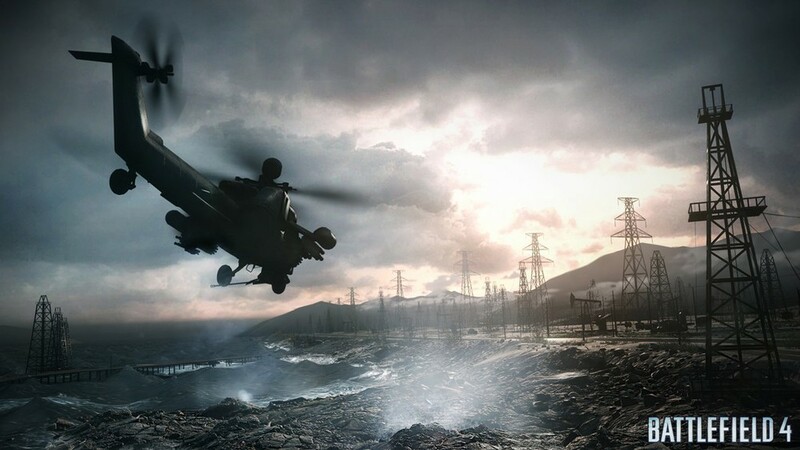 BF4 will be powered by the insane Frostbite 3 engine. EA promised that this will set a new standard for interactive entertainment in 2013. EA said that this is going to be a "seminal moment" for the series. So, without further ado. I think it's time to show you the "best for last" I promised. This is a 17 minutes of gameplay from "Fishing in Baku" from Battlefield 4. Enjoy! Let us know your thoughts in the comments below, and don't forget to hit the "Like" button to be showered in hearts, and show us your love, of course!